Today We are sharing Bengali General intelligence Reasoning practice set for Railway Group D Exam. The reasoning is the most important subject for any kind of competitive Exam like SSC, wbcs, psc, upsc, rrb, bank, police etc Exam. Most of the Bengal Students search on Internet Bengali Reasoning & General Intelligence. Don't worry we solve this problem. 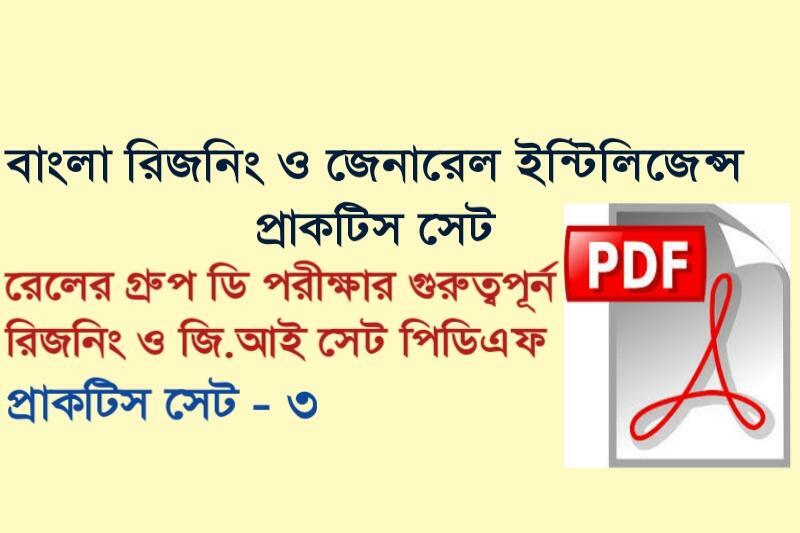 Here, you can download Bengali General Intelligence & Reasoning practice set for RRB Exam. Details of the pdf book and download link are given below. You must download this practice set.